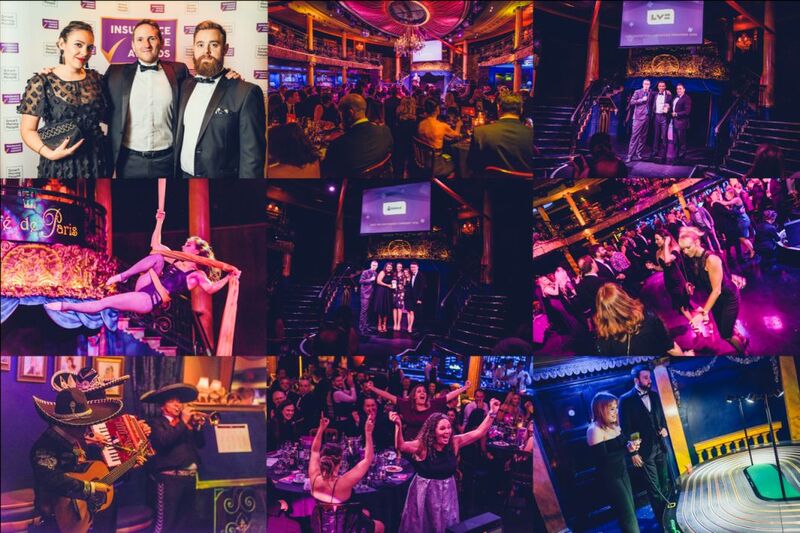 After a voting process which saw over 24,000 consumers have their say, the winners of the Insurance Choice Awards 2018 were announced in London. A range of firms from across the UK competed for their chance to take home an award from established insurance behemoths to innovative start-ups. With some familiar faces defending their titles, several new firms also entered the mix in 2018 and were judged to be doing a good job by their customers. Best Overall Insurance Broker: Sure Thing! Further pictures from the Insurance Choice Awards can be found here. Laka’s innovative community driven offering swept the board, taking home ‘Best Newcomer 2018’, ‘Best Cycle Insurance Provider 2018’ and ‘Innovation of the Year 2018’. Laka are changing the way consumers pay for their insurance, with their members getting insurance at cost by only paying when claims are made. We look forward to tracking Laka's progress, and we're sure many others in the industry have their eye on this newcomer. However, it wasn’t just Laka that left with multiple awards, Geoffrey Insurance won both 'Best Car Insurance Provider 2018' and 'Treating Customers Fairly Champion 2018'. Geoffrey Insurance, a Markerstudy brand, have a "unique customer promise" that clearly seems to be delivering some happy drivers! A refreshing approach in an industry still perceived by many consumers as pretty opaque when it comes to pricing at the renewal stage. Other winners included Endsleigh, who were able to retain their ‘Best Student Insurance Provider 2018’ title, as did Sure Thing! who took home 'Best Overall Insurance Broker 2018'. Velosure won the coveted ‘Customer Service Champion 2018’ and Admiral took home ‘Best Big Insurance Company 2018’. We introduced two new award categories this year. ‘Best Protection Insurance Provider 2018’ was won by LV=, while our ‘Insurance Vendor of the Year 2018’ went to Close Brothers Premium Finance (this award was voted for by UK insurance firms). With a mariachi band bringing some Latin heat to the event, and a breathtaking aerial performance it's probably fair to say that the Insurance Choice Awards 2018 wasn't shy of entertainment! Our host, Paul Tonkinson cut through the tension with a hilarious comedy set, and attendees topped off the night by going head to head over an eight lane Scalextric track and letting loose on the dancefloor! The night also featured a charity raffle in aid of The Imperial Health Charity’s Alzheimers Research Fund. We're pleased to announce £1,010 was raised for this great cause. And finally, congratulations to all our Winners and Finalists. We’d also like to thank the 24,000 consumers that took part in the voting process, helping us to deliver a truly unique awards campaign. Over the next few months we will reveal our plans for 2019 and if you’d like to keep up to date with the Insurance Choice Awards, please follow us on Twitter and LinkedIn.